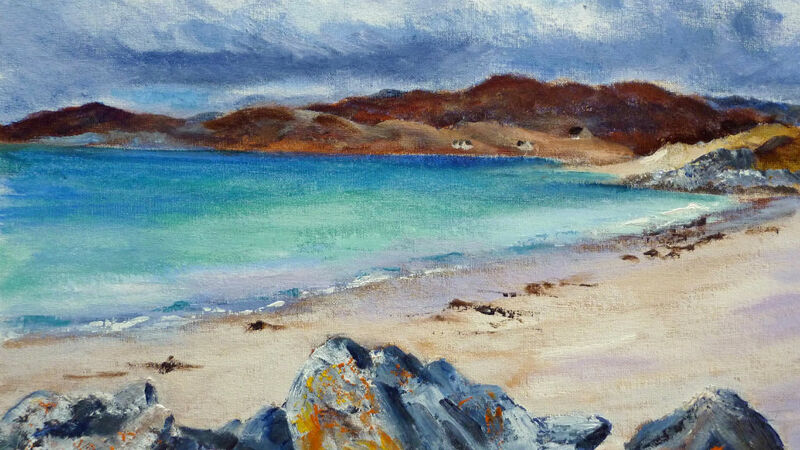 The scenery of the west coast and sailing brought us here, many years ago, and landscape painting of the West highlands is a big part of my life. 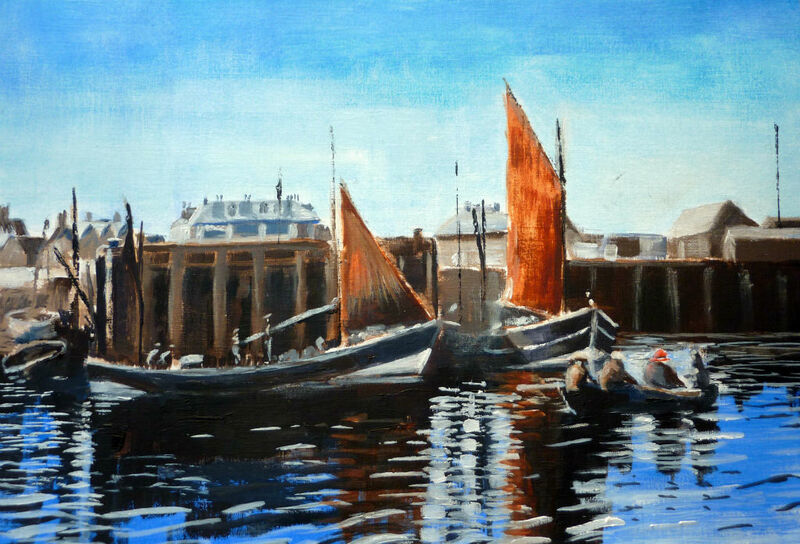 I sketch in watercolour when on the boat, (wet oils and a heeling yacht do not “do”!). But in the studio I do oils, acrylics and animal portraits in Pastel or Acrylic. 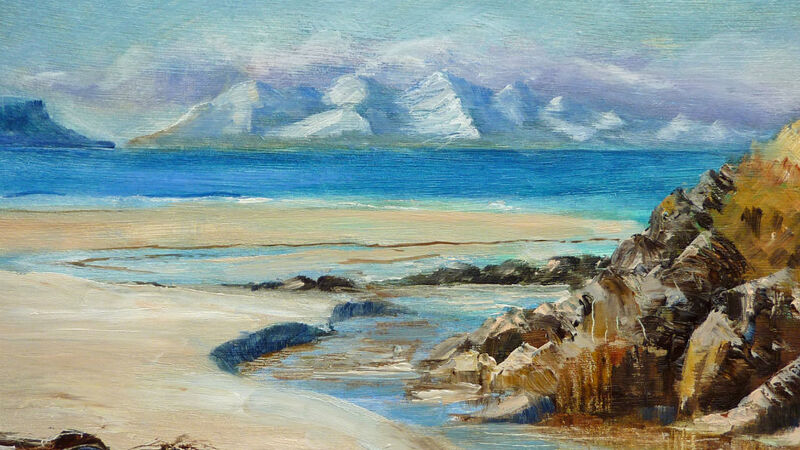 I exhibit locally, and with “Art Lochaber”, our local art club, which has an annual Exhibition in the Ben Nevis Distillery in Fort William, and a permanent exhibition in the Belford Hospital. 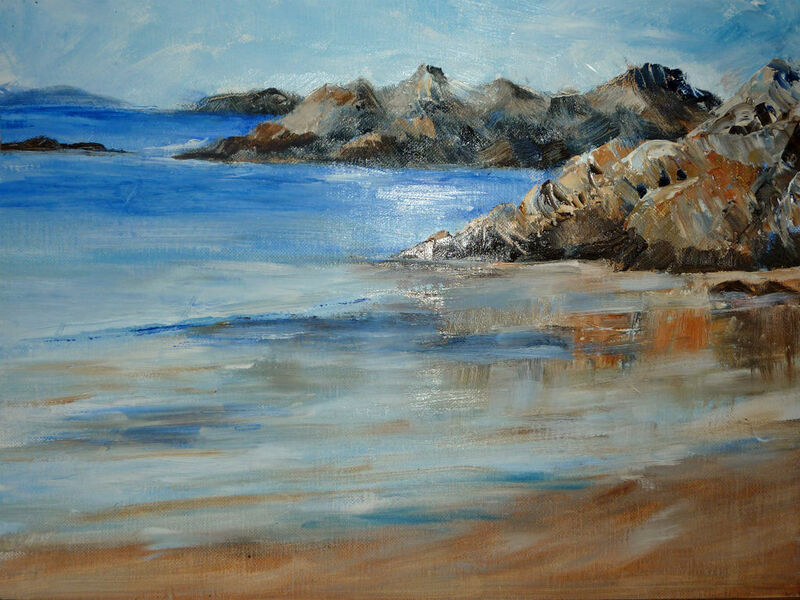 Rum Cottage has several of my paintings of the area hung on the walls. 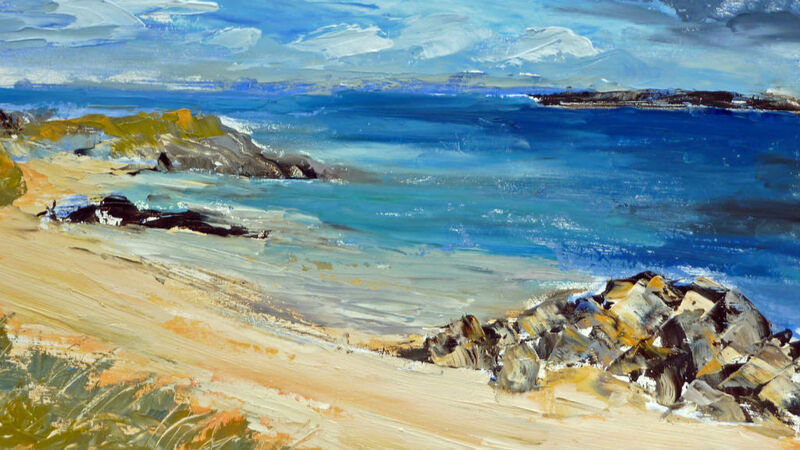 They are for sale, and more are in my studio, just up the track from the Cottage. 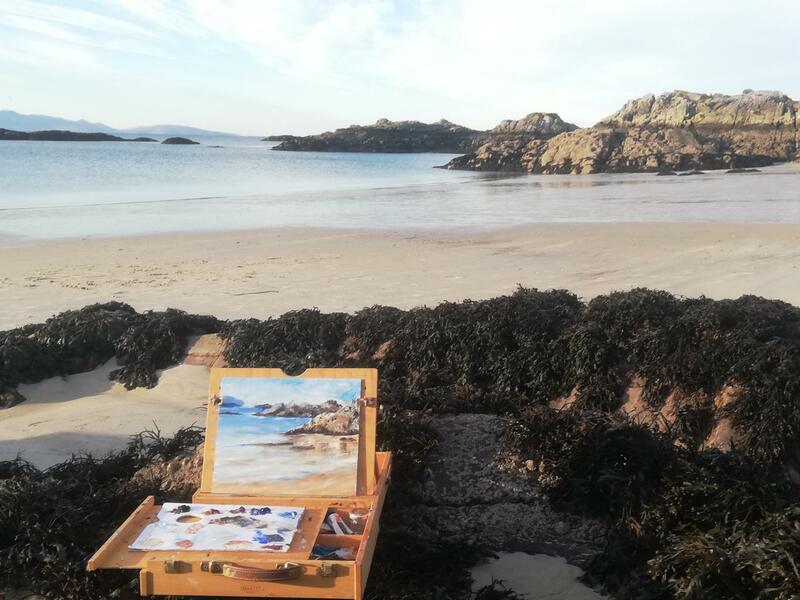 What I really enjoy doing is getting out and painting “en plein air”.